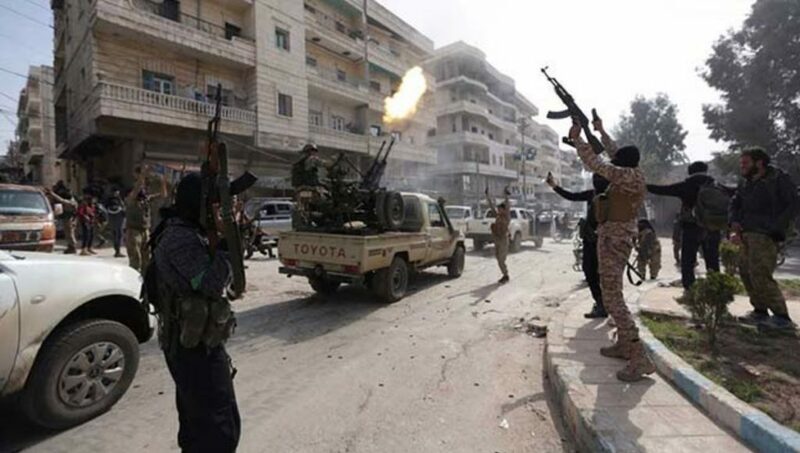 Turkey’s military and Islamist rebel groups supported by Turkey took over the Syrian city of Afrin on Sunday. Afrin is a largely Kurdish area that had been under the control of the leftist Kurdish armed group the Popular Protection Unit, known as the YPG. The Turkish offensive forced hundreds and thousands of civilians to flee over two months of brutal fighting. After seizing the city center, jihadist rebels embedded in the Turkish army immediately began looting civilian homes and burning down Kurdish properties. Turkey’s victory represents a major blow to the Kurdish movement. It also raises questions about the purpose of the war in Syria altogether. The U.S. Had been supporting the YPG in its fight against ISIS, but the Trump administration appeared to tacitly support Turkey’s invasion when the Pentagon told YPG fighters they would lose support from the U.S. if they went to Afrin to fight Turkish forces. Russia, a key supporter of the Syrian government, also greenlighted Turkey’s invasion of the north. What does this mean for the balance of power in the region? What does it mean for the war in Syria? Joining us now to analyze this is Patrick Cockburn. Patrick is a longtime Middle East correspondent for the newspaper The Independent. His most recent book, published by Verso Books, is “The Age of Jihad.” Patrick just returned from Northern Syria where he was able to speak with the Kurds and Turkish forces. Thank you so much for joining us today, Patrick. SHARMINI PERIES: Now, Patrick, from what we understand the Kurds in Syria were hoping to establish some degree of independence in Syria An autonomous region they were hoping for. Now for a while it seemed that that was possible. What does Turkey’s intervention here and take over of Afrin mean for the Kurdish aspirations? PATRICK COCKBURN: Well, it is a bad blow. They are freeing the enclave that the Turkish army and these Arab militia, called themselves the Free Syrian Army but actually seem closer to al Qaeda and ISIS. The enclave is separate from the main territorial area where the Kurds are living. So it’s very difficult for them to defend. But it’s pretty disastrous because there were a bit over three hundred thousand Kurds there, and two thirds of them have fled. So we’re almost certainly going to see a serious ethnic cleansing there and Arabization of this area which has been traditionally Kurdish. SHARMINI PERIES: Patrick, one of the reasons that the Kurds were able to hold on to Afrin was because Russians basically allowed them. Russia was protecting the area with their air force. When it withdrew that, when the Turkish forces saw an opening there, what motivated Russia to withdraw its aircraft from Afrin and let the Turkish forces move in? Explain this alliance. PATRICK COCKBURN: Yeah, I think the reason this happened was that you have an alliance between Turkey and Russia. Russia is kind of keen to detach Turkey from NATO and the U.S. Now, in the middle of January Rex Tillerson, who was then U.S. Secretary of State, made a rather, a statement which had explosive effect. It said the U.S. was going to stay in Syria, although it had promised the Turks that it would pull out after the defeat of ISIS or the Islamic State. It said that it was going to roll back Iranian influence, that it was going to seek a transition. So President Bashar al-Assad would leave power. He is, of course, a close ally of Russia. So it is a very ambitious program. It was also, the U.S. was also going to stabilize Syria. Now, the effect on the Russians, I think, was that the U.S. was playing a bigger role than before. The Turks felt that the U.S. was going to guarantee the Kurds their sort of de facto Kurdish state in northern Syria, and decided that, they got together in Moscow, the Turks and the Russians, and the Russians agreed that they wouldn’t, would they control the airspace over Afrin, that they would not prevent Turkish aircraft operating, and they’d OK a Turkish invasion. That’s really the reason that happened. Now, Afrin is a bit different from the other Kurdish areas. The U.S. has never said that it would protect that area. It has said that about the rest of the area that the YPG, essentially by the U.S. Air Force had taken from Islamic State. 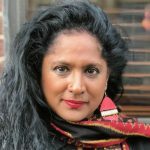 SHARMINI PERIES: Now, of course, what does this now mean for the U.S.? Now, the Syrian Kurds and the YPG were important allies of the U.S., and as a ground force against the government of President Bashar al-Assad they were fairly effective and supported by the U.S. Now, has the U.S. lost its grip now? If so, does this mean that this will make it easier for Assad to regain control over this region? PATRICK COCKBURN: Well they both want to be influential in Syria. Turkey was, already had bad terms with the U.S. President Erdogan of Turkey blames the U.S. wrongly, to my mind, for an attempted coup against him, a military coup against him in 2016. Russia wants to take advantage of that and is doing so. I think it’s part of a change in Syria on the ground but what you notice now is that there are really sort of three big players. President Assad has retaken a lot of Syria. Most of the population are living in areas that he holds. Then you have the Kurds, who have about 25 percent of Syria, backed by the U.S. And then you have this area of northern Syria where you have Sunni Arab militias backed by Turkey, and now you have the Turkish army there. So Turkey is the big player in that area. So you are having this sort of consolidation down in Damascus, Eastern Ghouta, the last big stronghold of the armed opposition is holding to Assad’s forces. And up in the north Afrin, this Kurdish enclave is falling to the Turks. These three enclaves are all consolidating. SHARMINI PERIES: So then what’s next for Syrian Kurds? Will Turkey remain in Afrin, and really compromise and prevent further efforts by the Kurdish independence, or autonomous region that they are seeking? PATRICK COCKBURN: Well, in Syria the Kurds say they are not seeking independence, seeking autonomy with i n a united Syria. They’re definitely very autonomous. They’re very well organized. They’ve kind of created a de facto state up in the northeast of Turkey, which is northeast of Syria. So they’ve been pretty effective in doing that. Will they be able to maintain it? Well, you know, the priority for Turkey, we know it’s, whatever it is, 80 million inhabitants, is to get rid of this Kurdish de facto state in Syria. They’re putting on a lot of pressure. They’ve got a very large army. It’s difficult them to invade because U.S. planes are overhead. But it could happen one day, and probably will. SHARMINI PERIES: Can we draw between what happened in Eastern Ghouta and what happened in Afrin over the last two months, and Sunday in particular? PATRICK COCKBURN: Well, the Kurds think that international attention was all on eastern Ghouta. The media attention was there, and nobody was paying much attention to Afrin. Although, you know, you have similar thing. Similar bombs were falling, hundreds of people were killed. This was similar to eastern Ghouta, but it really didn’t get much media or political attention. Now, the Kurds think of the Turks, this is a good moment to step up their invasion. It started over 25 of January, but they sort of launched a fresh offensive to take Afrin city, which, they captured it on Sunday. So I think that had an effect on what’s happening on Afrin. But in many ways the situations in these two enclaves is pretty similar. Both are being bombarded, in both cases. A lot of civilians are being killed, and a lot of people are trying to get out. SHARMINI PERIES: Patrick, you wrote that some two hundred thousand people had fled Afrin in the last few days suspecting that they will never be able to return home, which means that they will join the six million refugees that have already fled Syria. Now, Afrin, I understand, is a fairly quiet place, a place where you would call home. Now, will they be able to return at any point? PATRICK COCKBURN: Well, you know, about two thirds of the people have fled from Afrin according to the U.N. And you knowl they’re on the road, some can’t get out. They’re not being allowed into Syrian government territory. About a hundred thousand are registered with the U.N., but the real figure’s probably about twice that. So you know, this is a pretty terrible condition. Particularly as Afrin was one of the most peaceful parts of Syria. It’s a very fertile area, a lot of farming land and so forth, and really nothing had been happening there during the last seven years, and suddenly the whole place is, you know, being devastated. You say that there was a lot of looting. You can see film of these militiamen driving away tractors, looting the shops and so forth. So you know, and then we have these videos of the fighters, Arab fighters, saying we’re going to get rid of the Kurds, and Arabs who have been displaced elsewhere will come here. So we’re having a demographic change on a big scale in this place. Where the displaced will go, maybe they’ll get to the main Kurdish region. That seems quite likely. Maybe they’ll sit in camps around Aleppo. You know, they just joined this great sort of swamp of human misery that we have in Syria. SHARMINI PERIES: All right, Patrick. Thank you so much for joining us today and we’ll certainly be back to you very soon. Thank you for joining us here on the Real News Network.